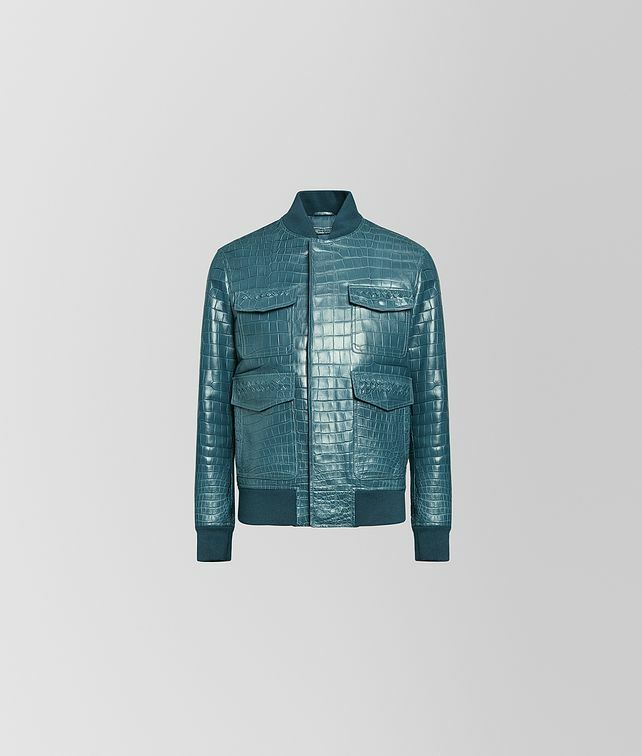 This bomber jacket is impeccably crafted from matte crocodile, a prime example of Bottega Veneta’s signature savoir-faire with precious leather. The luxurious yet sporty piece is ideal for transitional weather. The jacket is fitted with four patch pockets and snap-button closure with a hidden placket. Finished with a ribbed collar, cuffs and hem.